The Five People Cammie Meets in Heaven. 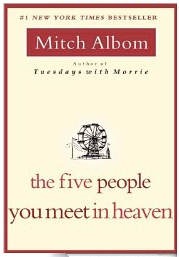 Recently, I read the book “The Five People You Meet in Heaven” by Mitch Albom The story is about a man named Eddie who dies thinking that his life did not amount to much. At the time of his death, Eddie held onto anger for the injuries that befell him, regret for what he could not do, and he was still grieving his losses. In this story, Eddie meets five people in heaven who gave him perspective about his life. At first, it seems that these people were chosen at random—-but it turns out that each shared an aspect of who Eddie was and why he lived. These were people he had hurt (or even accidentally killed), people he needed to forgive, people who changed his life for the worse or for the better, people who taught him how to love and be loved. We do not always know who most impacts our life. I got to thinking… Who would be the five people Cammie would meet in heaven? Who would provide her with the greatest perspective about her life? Who would be the people that she impacted greatly or who impacted her? Who would she need to forgive? What were the life lessons that these people might share with her—the lessons that made her who who she was in this life? The first of the five people that Cammie might meet would be a woman she didn’t even know, driving a station wagon full of kids. The date was April 18, 1971—exactly 44 years ago. “I spent the weekend helping my brother Harry remodel his cabin near Lake Tahoe. It’s right after Easter. The weather is beautiful on our return trip to Concord. It’s about 78 degrees, not a cloud in the sky, and no smog. how could anything happen on a beautiful day like this day, on April 18, 1971? Something does happen right after we arrive home. It seems so insignificant at the time. That briefest of moments changed everything for our family. Cammie does indeed contract chicken pox. By May 3, 1971 she is rushed to the hospital in a coma, fighting for her life. She has a rare form of encephalitis—a swelling of the major part of her brain. Cammie was three years old. I was twelve. Linda nine, Shelly was seven. You see, Honofre Angel died of rabies in April of 1971… in the same room C106 just a few days before Cammie arrived at Children’s Hospital. He was 6 years old. Like encephalitis, rabies also causes a swelling of the brain. The medical team learned from Honofre. Because of Honofre—they anticipated every complication and were able to save Cammie’s life. In some sense, he gave his life so that she might live. Honofre ANGEL was a name that we all knew. Angel. When my parents were deeply struggling with the weight of what was happening in 1971, when they believed Cammie would not make it, they remembered the sacrifice of Honofre Angel… and this gave them hope. Perhaps Honofre’s spirit was already working for Cammie as she fought for her life. Cammie came so close to death that day in 1971. But she did not die. Thanks to Honofre Angel and the team at Children’s Hospital, and the sheer force of love of my parents, she battled back from the brink. She lived. She lived another 44 years. She graduated from high school, from college, fell in love, married, struggled, loved and loved. “A real fighter”. Yes. Cammie was a spirit that just Would. Not. Quit. Cammie was indeed incredibly stubborn—-and the upside was that she had an incredible will to live. My parents believed this with all their hearts. The two of them literally loved her back to life, never giving up. I am certain that Mom and Dad are the third and the fourth people Cammie would meet in heaven. How do I know this? Because Cammie told me! Cammie and I had this most incredible conversation just a couple of weeks before she died. On this day in late February, we nearly lost her. Cammie was resuscitated—this was her last and most recent “Near Death Experience” (or NDE). When she rallied back from this temporary death, she could only whisper… I had my ear pressed close to her mouth to hear what she said. She spoke quickly, and with passion and certainty. She told me that she saw both our Mom and our Dad. Mom told her to “go to God.” Cammie shared with me that she did not feel that she was yet ready to die. As it turns out she lived for another couple of weeks before she obeyed my mother. During those intervening weeks, she literally re-lived her childhood trauma. We all re-experienced the events of May 1971—and each of us tried to make sense of what was happening... again. She was dying— and this time there would be no rallying back. Her body was failing her. It was almost as if it was her destiny to relive that first event. 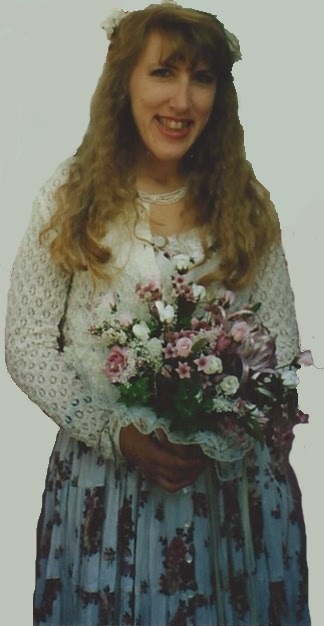 When Cammie described her NDE encounter with Mom and Dad, she also told me that she could not see Linda at that time. She said that Linda was behind a veil, working her way to Mom. Cammie felt a clarity and was greatly comforted that she saw Mom and Dad. She was equally concerned that she could not (yet) see Linda. I got the sense that she felt Linda would be with Mom soon. So this brings us to the last person I imagine Cammie would see in heaven. This person I also know for sure. How? It came to me in a dream.. a dream I shared with Cammie the day before she died. I knew that this dream was meant to be shared with Cammie. What I could not know was if she could hear me and understand it? She was no longer able to communicate that evening before her death. I sometime wonder: What was the point of Cammie living 44 more years, only to relive her most terrifying childhood trauma? What was the point of surviving in 1971 only to lose the very same battle in 2015, on a beautiful spring day not at all unlike the one 44 years ago? What was the point of all this? The key is this fifth person Cammie meets in heaven. I imagine Cammie, arriving on the other side and seeing this last person. There she is: LINDA in all her brilliance, her fullness. I imagine the encounter between the two of them, and Cammie being greeted by Linda with a long embrace. Cammie gave Linda’s life meaning. Linda was always there for her—even with her craziness. And Cammie was there for Linda. There was no judgement between them, only compassion, and unconditional love. Linda was someone Cammie could help (and did help). Cammie was someone Linda could help. Perhaps in helping each other, they could both find their way, and could be there for each other in a way that no one else could. I believe that Cammie took comfort knowing Linda would be there for her, and indeed Linda was waiting for Cammie to arrive. Of course Linda would be one of Cammie’s five. 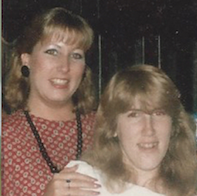 When my time comes, I hope that two of the people I meet in Heaven are Cammie, whose will to live gave me another 44 years of her humor, her love and her indomitable spirit, and Linda, whose whimsey, generosity and love was always there for her sisters, even at the times she had so little to give. This is the part of them that I can only hope becomes a part of me.